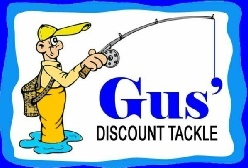 A huge selection of quality name-brand fishing tackle and supplies at discount prices! Plus frozen bait, line, leaders, sinkers, waders, smokers and chips, outdoor apparel (shirts, jackets, vests, thermals), and all of the accessories and gizmos you'll ever need. Combo and quantity discounts are always available. Wholesale prices and services available to qualified resellers. All rods and reels carry full manufacturer's warranties. And remember our full line of crabbing gear, including pots, traps, bait cages, floats and rope. From collapsible pots to commercial grade units. Everything you need to catch your own crab dinner!